Ernst Axel Knauf is Associate Professor of the Old Testament and Biblical Studies at the University of Berne. Philippe Guillaume is Privatdozent at the Biblical Institute of the Theological Faculty of the University of Berne. His latest monograph is Land, Credit and Crisis: Agrarian Finance in the Hebrew Bible (Sheffield: Equinox, 2012). There was probably only one past, but there are many different histories. As mental representations of narrow segments of the past, ‘histories’ reflect different cultural contexts and different historians, although ‘history’ is a scientific enterprise whenever it processes representative data using rational and controllable methods to work out hypotheses that can be falsified by empirical evidence. A History of Biblical Israel combines experience gained through decades of teaching biblical exegesis and courses on the history of ancient Israel, and of on-going involvement in biblical archaeology. ‘Biblical Israel’ is understood as a narrative produced primarily in the province of Yehud to forge the collective memory of the elite that operated the temple of Jerusalem under the auspices of the Achaemenid imperial apparatus. The notion of ‘Biblical Israel’ provides the necessary hindsight to narrate the fate of the kingdoms of Israel and Judah as the pre-history of ‘Biblical Israel’, since the archives of these kingdoms were only mined in the Persian era to produce the grand biblical narrative. 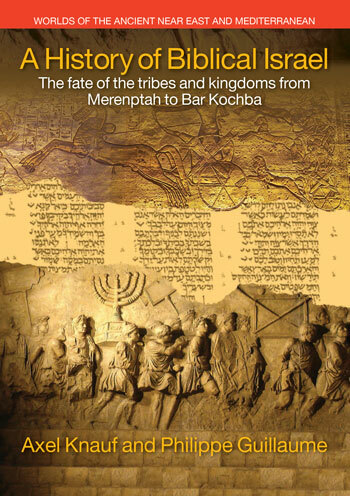 The volume covers the history of ‘Biblical Israel’ through its fragmentation in the Hellenistic and Roman periods until 136 CE, when four Roman legions crushed the revolt of Simeon Bar-Kosiba. There was probably only one past, but there are many different histories. As mental representations of narrow segments of the past, ‘histories’ reflect different cultural contexts and different historians, although ‘history’ is a scientific enterprise whenever it processes representative data using rational and controllable methods to work out hypotheses that can be falsified by empirical evidence. A History of Biblical Israel combines experience gained through decades of teaching biblical exegesis and courses on the history of ancient Israel, and of on-going involvement in biblical archaeology. ‘Biblical Israel’ is understood as a narrative produced primarily in the province of Yehud to forge the collective memory of the elite that operated the temple of Jerusalem under the auspices of the Achaemenid imperial apparatus. The notion of ‘Biblical Israel’ provides the necessary hindsight to narrate the fate of the kingdoms of Israel and Judah as the pre-history of ‘Biblical Israel’, since the archives of these kingdoms were only mined in the Persian era to produce the grand biblical narrative. The volume covers the history of ‘Biblical Israel’ through its fragmentation in the Hellenistic and Roman periods until 136 CE, when four Roman legions crushed the revolt of Simeon Bar-Kosiba. The relations of Egypt with Canaan in the Late Bronze Age establish the framework for development in the Iron Age. The rise of proto-Israelite tribes in the Central Palestinian Range is placed in the context of the Canaanite revival spurred by the exploitation of copper mines in the Arabah following the collapse of the first Mediterranean economic system. The consolidation of Levantine kingdoms and the rise of secondary states in the context of the second Mediterranean trade system. The integration of Israel and its neighbours in the Neo-Assyrian orbit leads to consider Manasseh’s reign as the climax of the Kingdom of Judah which reveals the ideological profile of biblical Deuteronomistic literature. The deportations in the last decades of the Kingdom of Judah produced several groups of tradents of rival traditions which debates are mostly recorded mostly in prophetic literature. The integration of the last Levantine kingdoms and the transition from Neo-Babylonian to Persian rule foster the rise of new identities based on ancestry rather than on loyalty to a local ruler. In this framework, the various attempts to set up Jerusalem’s first ‘Second Temple’ appear as rearguard actions of little significance. The difficulties encountered by the Achaemenids in Egypt spur the construction of a Persian fortress at Jerusalem with an adjacent sanctuary (the second ‘Second Temple), as well as the destruction of Bethel and the construction of a cultic centre at Mount Gerizim. Such renewed imperial interest in the Levant set the stage for the formation of the Torah and the rise of a common identity based on Biblical Israel operative across the empire. The transition to Seleucid rule followed by the rise of centripetal forces fosters the emergence of the Hasmoneans and their attempt to turn Biblical Israel into a political reality. The Samaritan reaction initiates the disintegration of Biblical Israel. The vagaries of Roman rule in the Levant, the replacement of the Hasmoneans by the Herodians and the chaotic misrule of ethnarchs and procurators pave the way to a series of Jewish wars which complete the disintegration of Biblical Israel into Rabbinic Israel and Christianity. The book, with more than 50 illustrations and tables, with its archaeological and epigraphic focus - and not least with a wealth of original ideas - represents a great enrichment of the currently available "stories of Israel." This is a mature work that takes account of archaeological research and ANE context as well as the development of the biblical tradition. There are already many syntheses on the history of Ancient Israel, so before each new publication it is inevitable to ask the question: are they really necessary? That is, do advances in archaeological, historical and / or biblical research follow one another at such a rhythm and volume that they require the constant production of new works of synthesis? Probably the answer to that question must be no. However, I consider that each new work of this type, when it is of high quality (as in this case), should be celebrated as good news, which allows us to add to our bibliographical list new versions of reputed specialists on ancient history from Israel. The authors of the volume, Ernst A. Knauf and Philippe Guillaume, recognize in the preface of the work, that it is the result of the courses taught in recent years in the universities of Heidelberg, Geneva, Beirut and Bern. It is, therefore, a work of maturity, which gives written form to the ideas that both authors have been exhibiting in courses and seminars on the ancient history of Israel. The book is important as well as brilliant. 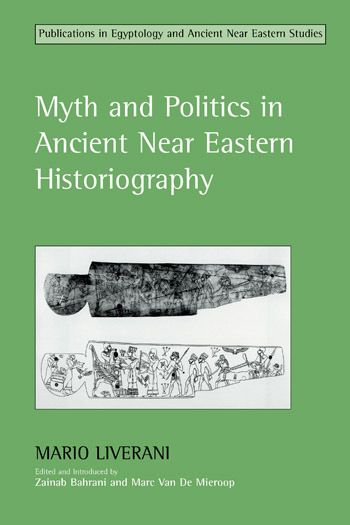 Its thematic focus alone, its distance from the tropes of texts' rhetoric, distinguishes it as the work of professional, culturally sensitive political historians. It will and should be the point of reference for any further narrative about Israelite history. Knauf and Guillaume have produced a valuable addition to a series one of whose stated aims is that of being accessible to modern readers wanting to understand how ancient peoples ‘understood their own pasts, presents, and futures.’ Some will doubtless be challenged by its contents, particularly those with a very traditional view of Israel’s past as presented in the biblical narrative. But the serious enquirer will be introduced to various current approaches and theories, and find much food for thought in this volume.